As grain for bread baking, rye is very popular in our latitude because rye or mixed bread is darker than wheat bread, firmer and more aromatic. Rye is also perfectly suitable for baking dark bread, Pumpernickel and bread rolls. 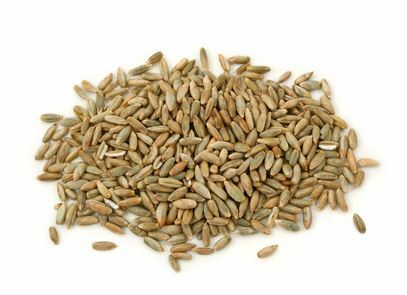 Rye is part of the sweet grass family and originate from the Black Sea area, today it can be found in all moderate climates. The grain grown on stalks of up to 2 m, the seeds contain carbon hydrates, fibre, proteins and mineral nutrients as well as high quantities of vitamins B and E. In addition, rye contains the amino acid lysine and so-called pentosans.